I learned this lesson the hard way too. If you’re going through a difficult time in your marriage and you need advice, see a counselor. Family counseling is a great tool, but try to remember that your family members and friends are not the most objective people to give advice. The argument they are hearing is one-sided and they often build up negative feelings toward your spouse, which usually doesn’t subside once you and your husband have gotten past it. Protect his image with those that you’re close with and seek help from those that can actually be objective. News flash, ladies – your mother cannot be objective! I had a friend I confided in when we didn't agree and it ended badly, they kept saying I need to get a divorce, I need out of there, but I did not leave, today I am not friends with that person and my marriage is amazing. So true, Negatives are some of the reason that starts the word |doubt"
I agree with this completely - I don't see the point in speaking negatively about the person I have given my heart to... and it sure wouldn't feel good if he was speaking negatively about me! 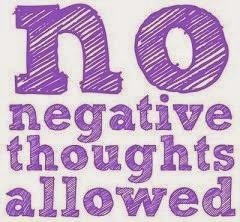 Yes, very true, negative thoughts are not helpful for a marriage. Yes, luckily I learned this back when I was still dating a random boyfriend before my husband. haha, Although, I guess it's clear that my husband is a winner and the old boyfriends were not since I don't have any desire to talk negatively about him! Very interesting...seeing a counsellor is always a great option...it can sometimes be hard "dumping" the negative stuff on friends. Isn't it ironic how the most lastingly lessons are the ones we have to learn the hard way? I'm loving this series! Ooh...this is a tough one, although I completely agree with this tip! Also, friends and family don't forget the things you say about your spouse when you're angry. Bad mouthing your spouse just hurts everyone's relationships in the long run. It's best to calm down and talk with your spouse in order to solve the problem. I agree! Don't talk negatively about your spouse and also, if a friend confides you, don't talk negatively about their spouses. It will only cause problems later on.